​When the club was first established, the meetings were held at the homes of the board of directors. Once the club became more established, the meetings were then held at the Chesterfield Grange where the members did cook-outs, and helped raise money for local events, etc. On March 11th, 1982, the Chesterfield Four Season's club began to be built in the location on River Road. With the help from towns people along with donations from businesses, the club was able to build the establishment with a $7000 loan. 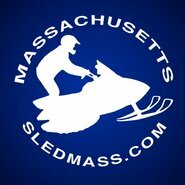 Chesterfield Four Seasons Club is a member of the Snowmobile Association of Massachusetts (S.A.M.). ​Welcome to the Chesterfield Four Seasons Club. As a club we promote all outdoor activities. Our club works with many different user groups to promote all outdoor adventures and activities. Our club is located across from the Chesterfield State Gorge. We are located along the Westfield River and have a Club House with ample parking. The Westfield River provides us with a 7 mile stretch, right down the side of the river, from our club house to the Knightville basin/dam. This is one, if not the most beautiful trail in Western MA. One of the clubs main tasks is keeping the river trail open and safe on a yearlong basis. This is a great place to ride a snowmobile in the winter months or to take a hike year round. To join our club see our membership page for more information on joining. This includes memberships and SAM trail passes. Club Meeting are on the second and last Tuesday of the month at 7 PM. During the summer months we go to one meeting a month. As a club, we have donated to many local causes. During the winter months, with ridable snow on the ground we try to have the club open on Fri. PM, Sat. Day +PM, Sun. Day. Day time hours start around 11 AM +/-. Always best to call B-4 as club is run by volunteers.